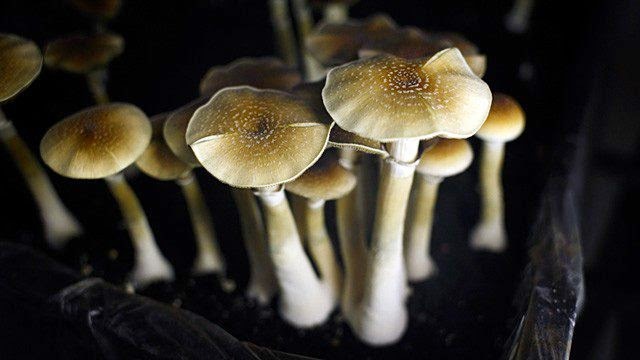 A new study at the Johns Hopkins University School of Medicine suggests that psilocybin, the hallucinogenic substance in “magic mushrooms”, might help longtime smokers kick the habit. However, it is worth noting that the carefully controlled use of psilocybin during the experiments was combined with a cognitive behavioral therapy program. Moreover, the researchers are not certain yet about the mechanisms of this effect. 10 male and 5 female mentally and physically healthy adults participated in the study. The average age of the participants was 51; they smoked, on average, 20 cigarettes a day for 30 years and had made approximately six attempts to quit smoking during their lifetime. In the first session of the psilocybin therapy, participants took a moderate (20 mg/70 kg) dose of psilocybin in pill form, and in two subsequent sessions, which took place two and eight weeks later,the dose was increased to 30 mg/70 kg. All drug-taking sessions were held in a safe, home-like setting and lasted about 6-7 hours. Some participants wore eyeshades or listened to music, as the purpose was to concentrate on their inner experiences. In combination with the psilocybin therapy sessions, the volunteers underwent a cognitive behavioral therapy program aimed at helping them quit smoking. The program included weekly individual counseling sessions and techniques; for example, the participants were recommended to keep a diary in order to find out when they felt the need to smoke. As a result, when the study ended six months later, the researchers found that 12 of the 15 participants (i.e. 80%) managed to quit smoking. This rate is much higher than what can be achieved by different conventional treatments, which usually reach about 30% success rate. Though it is not clear yet how exactly it works, the researchers believe that it has to do with the fact that psilocybin may influence the addictive patterns of thoughts and behaviors that are an essential part of lives of long-term smokers. At the same time, the researchers warn that the results of the study do not suggest an endorsement for taking magic mushrooms, and emphasize that drug-taking sessions involved strictly controlled psilocybin doses and were combined with a structured cognitive behavioral therapy.